We thank you for stopping by and checking out the home of Hylle Crawfish. We are a family owned and operated company based in Coldwater, Arkansas. 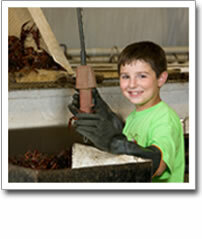 Hylle Crawfish is your number one source for fresh crawfish and Gulf shrimp in the area. We also carry snow crablegs. We are your one-stop-shop for all things crawfish. Get your Louisiana Fish Fry products and everything else you need for your boil, right down to the potatoes and corn. or shop at Mohr Sports in Wynne, AR. Highway 75 and Highway 42 in Coldwater, AR. Give us a call at (870) 755-BUGS. We hope to see or hear from you soon.